As one of three sister properties owned by Tiger Management founder Julian Robertson, The Farm at Cape Kidnappers is as close to iconic as a Kiwi luxury location can be. Located in a gorgeous location high above Hawke’s Bay, this 24 suite “farm” encompasses 6000 acres. 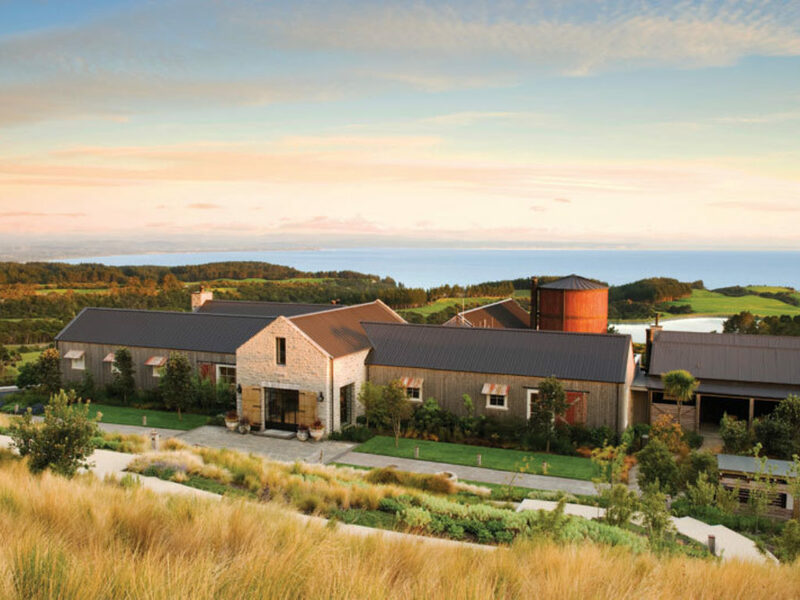 Panoramic views of the Pacific, luxurious rooms and a world-class golf course aside, The Farm at Cape Kidnappers remains a working farm with tours for guests as one of the many activities to do on property.